Do you need a ride to the airport? Are you looking for a door-to-door transportation service? GO FLY Airport Shuttle of Corona, California, has the answer to your transportation needs. Our fast and friendly van & sedan service is always on time and we are knowledgeable of the area. 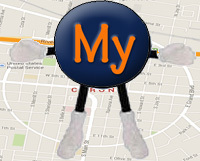 one of MyCorona's "Premier Listings"